Back surgery is a last resort for most people. Nonetheless, it’s something more than 200,000 Americans undergo each year. If you do reach a point where Los Angeles back surgery is your most promising option for relief, there are certain procedures that are considered fairly common and likely to be among the possibilities for you. Two or more vertebrae are permanently joined together to stabilize the spine with this common procedure. 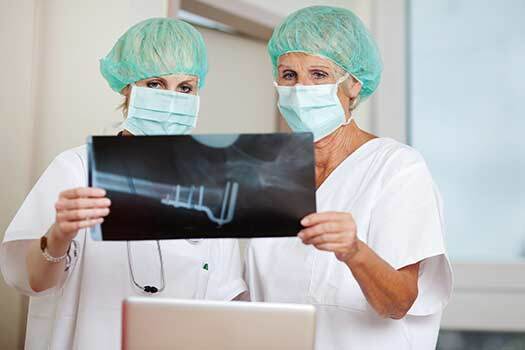 Wires, rods, screws, and cages are often used to hold everything in place until bone graft material fuses the adjacent bones to prevent movement in the affected area. Spinal fusion surgery can be done from the front only (anterior lumbar interbody fusion), the front and back (anterior/posterior spinal fusion), or from the side (extreme lateral interbody fusion). It’s a highly reliable procedure that’s sometimes performed with less invasive techniques. Nerve root compression is relieved with the removal of the flat part of a bone covering the spinal canal (lamina) during this type of back surgery. Patients typically experience radiating nerve pain due to the pressure placed on a nerve root and the removal of this segment of bone provides more room for nerves. It’s often performed to relieve compression caused by a narrowing of the spinal canal (spinal stenosis) affecting the lumbar (lower) spine. If a spinal disc is pressing on nerves, a discectomy may be performed to remove the part of the disc that’s protruding. It’s usually done as a microdiscectomy with special instruments that allow the surgeon to view the offending disc. Should the spine become unstable following the removal of disc material, a traditional spinal fusion may be performed to restore stability. Before deciding on one specific procedure, explore your options. In many cases, back surgery isn’t immediately necessary. Determine if you’ve exhausted all possible non-surgical treatments. If surgery is your best bet for relief, ask questions and make sure you and your doctor are on the same page when it comes to expected results and long-term goals. Trust in Dr. Hyun Bae at The Spine Institute Center for Spinal Restoration to perform your back surgery and start you on the path toward a pain-free life. Dr. Bae can diagnose the source of your pain and determine the most effective treatment plan. Call our office today at 310-828-7757 to learn more and schedule an appointment.